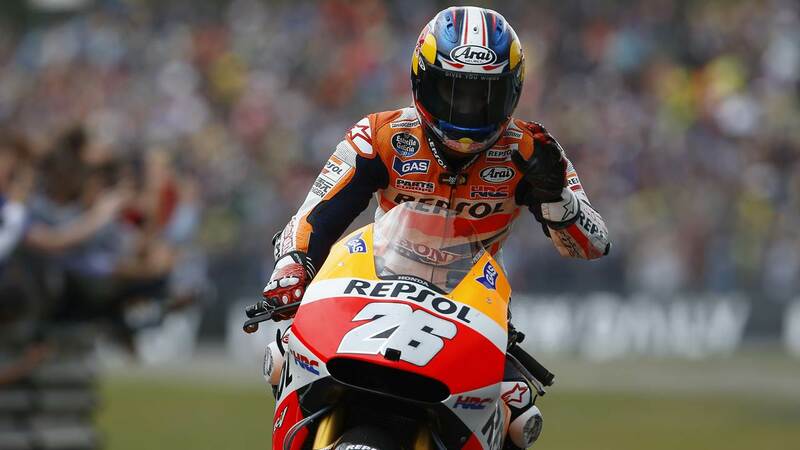 Honda Racing Corporation officially announced an agreement has been reached with Dani Pedrosa that will see the Spanish rider remain in the factory Honda team for a further two years, until the end of 2016. Dani, who currently lies third in the World Championship â€’level on points with second place Rossiâ€’ as the season reaches the halfway point, will extend his contract with Honda with whom he has raced with his debut in the World Championship in 2001. Dani is a three time World Champion (2003 in 125cc, 2004 and 2005 in 250cc) and made his debut in MotoGP in 2006 in the Repsol Honda Team, claiming the Rookie of the Year title and fifth position in the Championship. He has been both runner up and third in the premier class on six occasions (three each).